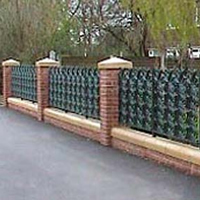 A series of decorative railings for a community project in Thurscoe, South Yorkshire working in conjunction with the designer. A series of moulds ready for casting. This is one of eight patterns produced ranging in size from 200mm x 565mm up to 810mm x 970mm. 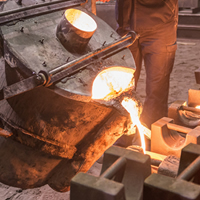 Casting a series of moulds. 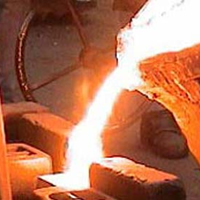 The material chosen was BS EN 1563 450/10, a ductile iron that can withstand physical attacks. Fettling one of the medium sized panels. The finished product, painted and erected on site.